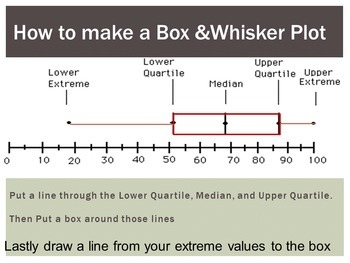 This PPT lesson teaches students the vocabulary that goes with box and whisker plots as well as the steps for creating a box and whisker plot. Along with the PPT are guided notes where students can answer questions while watching the PPT as well as the answer key. 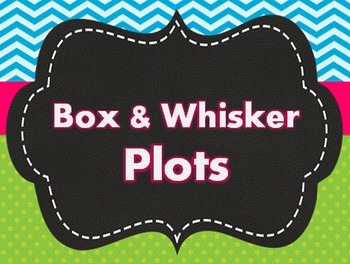 They also have the chance to create their own box and whisker plot. 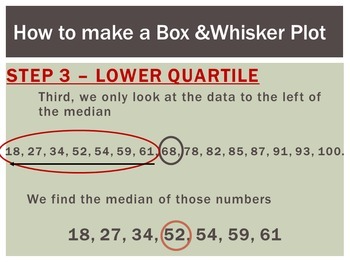 This is a great introductory lesson. 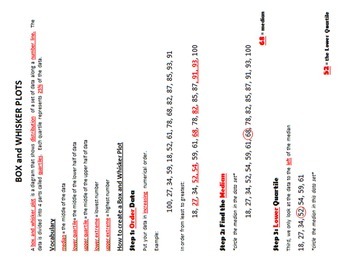 This matches Common Core Standards for 6th grade, but could be adapted and used for other grades as well.